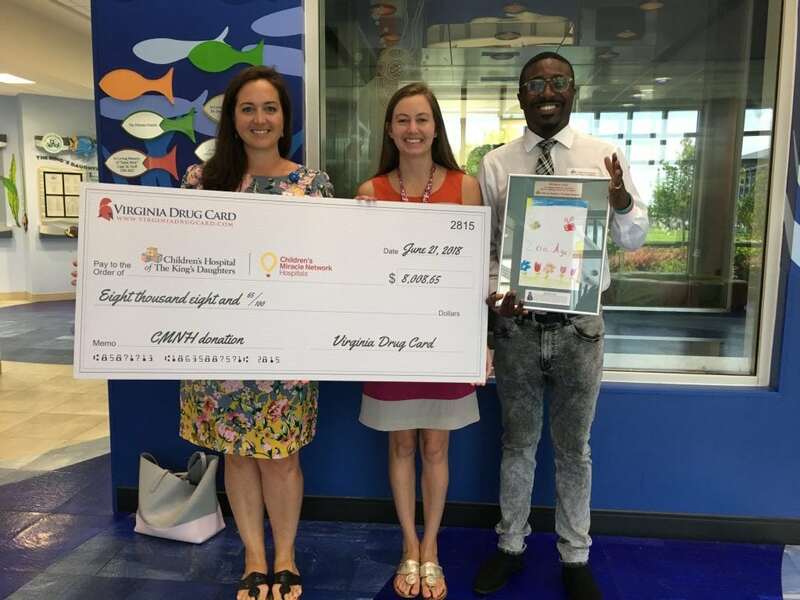 On June 28, 2018, the Virginia Drug Card team had the pleasure of presenting an $8,008.65 donor check to the Children’s Hospital of The King’s Daughters in Norfolk, Virginia. They had the esteemed honor of taking the Donor’s Tour provided by Lauren Kiger Director of Corporate Relations (left) Kate Ryan Development Officer / Corporate Relations (middle). CHKD’s mission is to help children live a healthy life physically, mentally and emotionally while treating them for any complications they may be experiencing during their stay. This hospital is one of only 3 free standing children’s hospitals in the Hampton Roads area and is solely kept running through philanthropy. These monetary donations help purchase new equipment such as IV poles or infant incubators, help fund pediatric medical research and stock medical supplies like surgical gloves. To our members, your continued support of the Virginia Drug Card help us support Children’s Miracle Network Hospitals all over the state and we are deeply appreciative of each one of you. Since 2015, the United Networks of America partnership with Children’s Miracle Network Hospitals has raised over $2.4 million dollars for local children’s hospitals. Of this, $8,008.65 has been raised for Children’s Hospital of The King’s Daughters.